MMSA Title: Technology Education Specialist. Gemma Perretta Scott joined MMSA as Technology Education Specialist in February, 2018. She earned her B.A. in Visual and Media Arts from Emerson College, her Certificate in Film and Media Preservation from George Eastman House, and her M.Ed in Instructional Technology from the University of Maine. 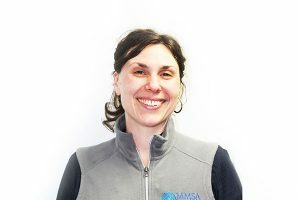 Gemma worked as Director of Technical Services and Collections Manager at Northeast Historic Film for 6 years, as well as Graduate Assistant in the College of Education and Human Development and the Center for Innovation in Teaching and Learning at UMaine for 4 years. Gemma has also worked independently as a filmmaker, Instructional Designer and Media Archivist, developing community-based programming for youth and collaborative arts groups. She is currently working on a National Science Foundation funded research project for MMSA called AR Girls, exploring techniques for engaging teenage girls to develop computational thinking and self-identification with science disciplines through the lens of art and storytelling. Gemma is motivated by a passion to explore and expand 21st century education within the context of local and virtual communities, as well as progressive assessment design. Gemma is personally dedicated her status as a human being and spends as much time as she can with her family. She loves to create arts and crafts, listen to music, cook, read and talk to her family and friends. She loves to host and go to parties, and always strives to sustain and share her wild Self.